Homes and stables were evacuated during a rattling evening southeast of Los Angeles last month, as tall flames licked property lines while they chewed through pine needles, dead leaves and other fuels that had built up in scrub and forest during a decades-long absence of fire. Firefighters eventually prevailed against the Highway Fire — so-named because it began near a highway — by corralling it and watching as it burned out. 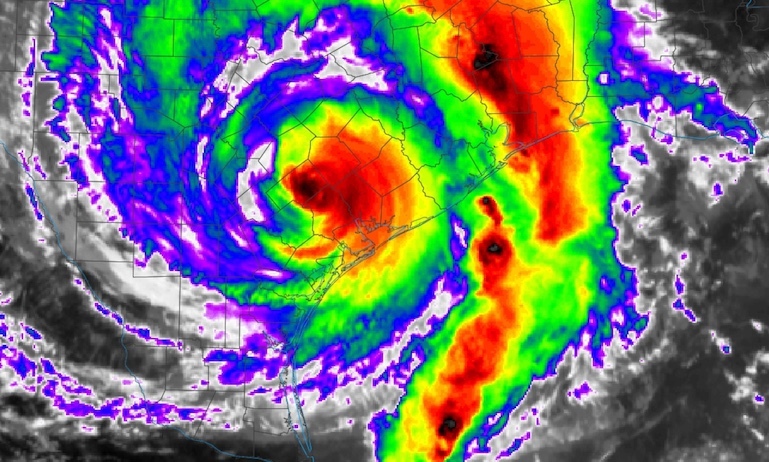 But the 1,000-acre conflagration was an anxiety-inducing prelude to what's projected to be a wild season of wildfires up and down the West Coast, mostly affecting parched seaside states well west and north of storm-soaked Texas. Unseasonable blazes are already afflicting the region. “Things are stacking up badly,” Max Moritz, a fire scientist on faculty at the University of California at Berkeley, said. The summer and fall promise to extend a long run of worsening years for American wildfires — fires that are projected to be fueled more by climate change. 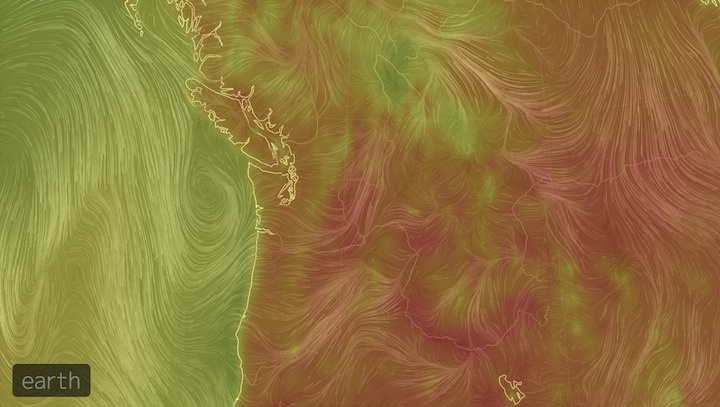 The unique weather and landscapes of the American West usher in regular wildfires. Drought and heat wrought by stubborn ocean conditions have left great stretches of it dryer and more combustible than usual this year. Experts say the keys to adapting Western lives to these wildfire risks lie in how fires and the lands that fuel them are managed; and in how yards, neighborhoods and cities are planned, built and run. Scientific progress and more than a century of living with wildfire have boosted Western resilience to the threat. But improvements in how wildfire dangers have been managed have fallen far short of the reimaginations of landscapes that are needed. 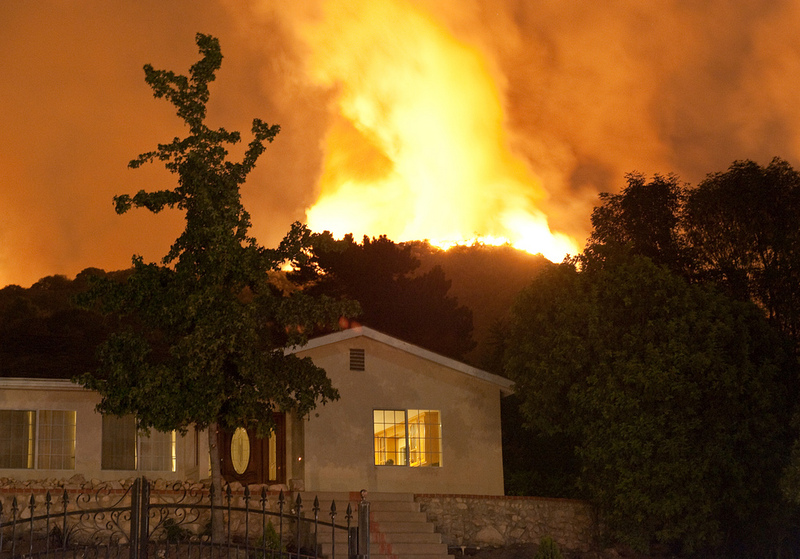 Fire in La Crescenta, Calif., in 2009. Living harmoniously with wildfires may seem as incongruous as tickling a black bear. 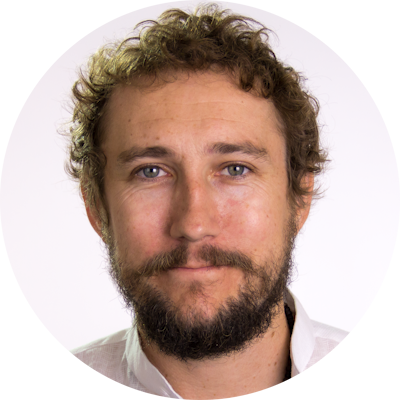 But a body of research that has been growing for decades makes clear that acting on an instinctive tendency to try to extinguish all wildfires tends to make the problem worse in the long run. Fighting fires wherever they appeared in the past allowed the types of fuels that stoked the Highway Fire to build up. The approach led to bigger blazes. It also diminished the post-fire habitats relied upon by black-backed woodpeckers and other wildlife. Chuck Maxwell is a U.S. Fish and Wildlife Service meteorologist based in Albuquerque whose job is to make predictions for fire seasons ahead, based on weather forecasts and ground conditions and past experience. He’s into his 14th year on the job. But Maxwell can’t say how much worse the wildfires are getting. “We definitely are seeing some bigger fires,” Maxwell said. In analytical autopsies that follow major fires, though, Maxwell and his colleagues are discovering that “they’re not all catastrophes.” Some major fires have burned at surprisingly low intensities, he said, while some smaller ones have burned with astonishing levels of intensity and destructiveness. ‘Worse’ is a subjective term that has come to occupy a confusing place in modern conversations about fire management. That’s because the main ingredient underpinning most efforts to boost wildfire resilience is — often unpalatably — more fire. 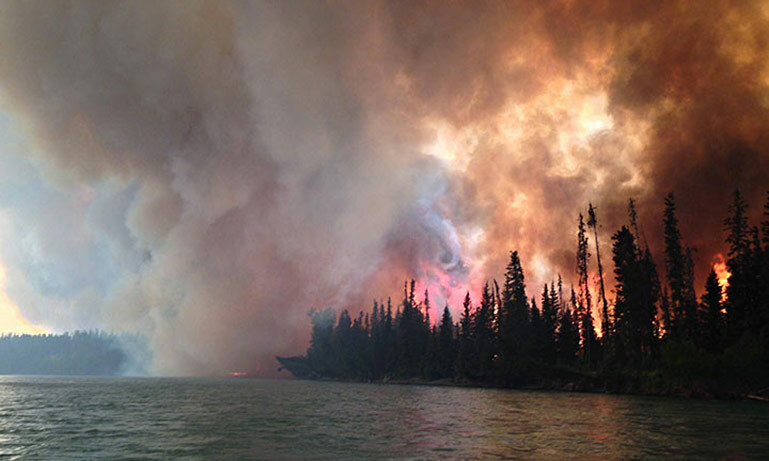 Fires in the West are becoming more common and many of them are spreading over larger areas. Responding to them is becoming wildly expensive. But the traditional practice of defining the severity of a fire season by the number of acres burned, or by the number of fires sparked, is becoming outdated. 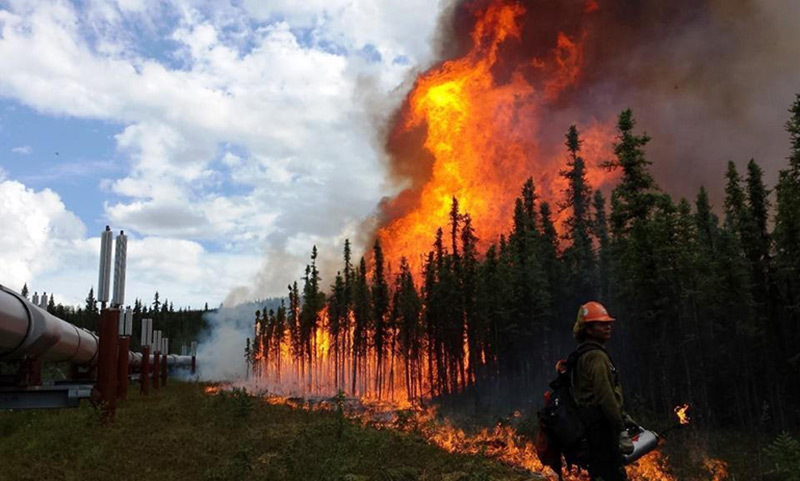 "Using acreage burned as a metric is either going to go away, or be qualified and strengthened by other metrics, over the next decade," Maxwell said. When Smokey the Bear was created in the 1940s, firefighting goals were clear: every time a fire sparked up, it should be extinguished by the next morning. Until the late 1960s, all federal lands were managed under the assumption that a fire was something to be put out. Then federal and other agencies began experimenting with something once considered radical — fires started to be treated as natural processes, sometimes allowed to burn themselves out. Small fires were set deliberately, simulating ignitions normally triggered by lightning. By the 1990s, the new paradigm had taken root in land management policies from local governments up to the feds. 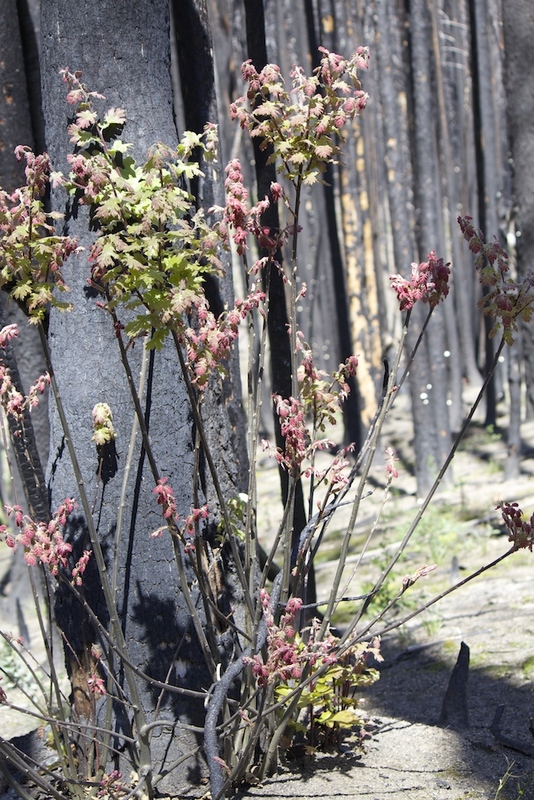 Landscapes torched by the 2013 Rim Fire are recovering. Scientists have realized that some ecosystems naturally burn frequently, with blazes clearing out small trees and tall grasses but leaving the crowns atop bigger trees in place. Others naturally burn less frequently but more intensely. With this understanding, blazes are battled when they threaten homes and important infrastructure, but the flames they wield are viewed as crucial elements of savage Western land rhythms. “It’s just a wholesale change from, ‘Put everything out,’ to, ‘Find what opportunities you can to let it burn,’” Maxwell said. Yosemite’s van Wagtendonk says Americans are growing more comfortable with prescribed burns, and with leaving some fires alone to burn themselves out. But he says they’re not yet comfortable enough. Campaigns by national parks and fire agencies have helped Americans understand the importance of letting fires burn, van Wagtendonk said. But he points to what he sees as institutionalized problems. One problem, he says, is that the Clean Air Act can be applied by states and air districts to controlled burns. Agencies can reject permit applications needed to set such blazes out of concern for violating federal air quality laws. While that can make it easier for people to breathe, van Wagtendonk says efforts to reduce long-term fire hazards are hampered. “The regulations for implementing the Clean Air Act need to be modified,” he said. Chumstick, Wash., a few hours drive east of Seattle, is a forest-ringed community of some 600 houses built on expansive properties along rural roads. Under natural conditions, low-intensity fires would probably sweep through the region’s forests every decade or so, clearing out shrubs and burnable detritus while leaving tall trees alive. Now, though, a long history of intensive fire-fighting has afflicted the Chumstick landscape with a classic case of fire arrhythmia. Chumstick’s remedies for its landscape afflictions have epitomized the types of treatments being adopted in fire-prone neighborhoods and towns throughout the country. It’s proactive approach to fire protection may have already have saved homes — if not lives. The landscape around Chumstick erupted in flames in 1994. One fire burned through 40,000 acres. Another through 135,000 acres. The community was spared, but it had learned a lesson. Evacuation and communications plans were developed by agencies and officials. Planning cascaded down to hyperlocal efforts, with residents working together to reduce the chances that their homes would go up in flames. The neighborhood work was loosely guided by a national program known as Firewise, which is a joint project of the U.S. government and nonprofits. By organizing events and showing that money was being spent on fire safety, Chumstick in 2009 earned formal recognition as a Firewise community. The list of recognized Firewise communities has grown since 2002 to more than 1,100. Some states require local governments to secure Firewise recognition before they can apply for certain grants. Firewise recognition also allows some Californian homeowners to secure discounts on their insurance. A crew watches a controlled fire that was lit to reduce fuel in the path of a large wildfire in Oregon in 2013. That has meant residents clearing their rooftops of debris, and replacing timber-based roofs and other flammable building materials with fire-resistant ones. 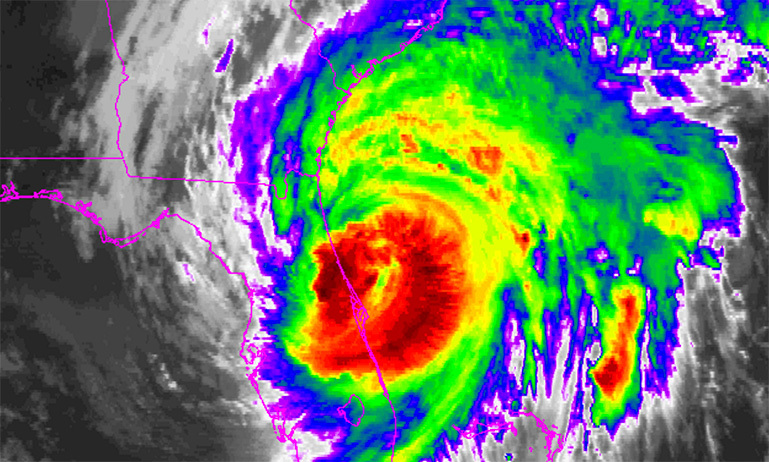 It has also meant clearing firewood, pine needles and shrub from around homes and beneath decks. The work appeared to have paid off in late 2013, when a forest fire began near Chumstick properties. The Eagle Fire ended up burning more than 1,000 acres of forest, but the only structure that seems to have burned was a chicken coop. One approach to reducing fire risks might be to remove all the plants in a forest, and then pave over the soil so that nothing can regrow. But such approaches are unfeasible outside of the highest-density parts of metropolitan hubs. Felling a forest can lead to erosion and mudslides. It can foul rivers that provide drinking water. It removes a carbon sink that can draw greenhouse gases out the atmosphere. And it ruins the natural charms that draw new residents to forests’ urban fringes in the first place. 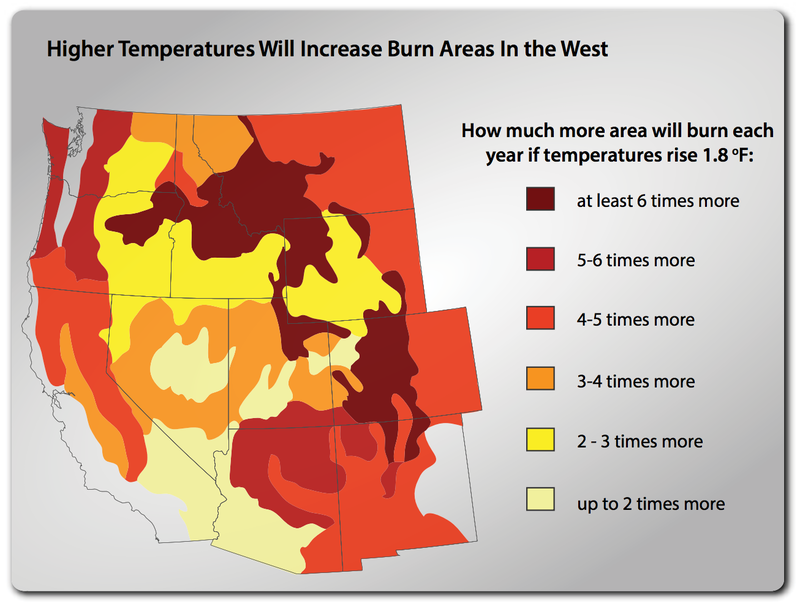 Every 1.8°F rise is projected to increase the area burned each year by wildfires. 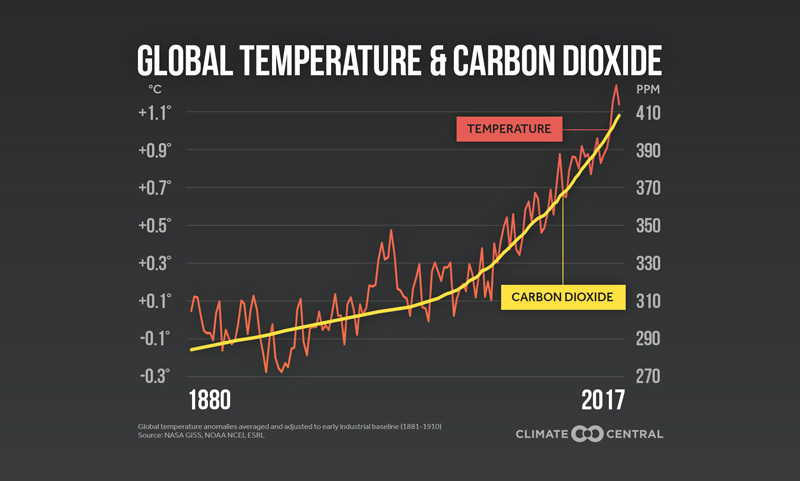 (Climate change has warmed the planet by about 0.85°F so far, with natural variation recently exacerbating warming in the West.) Click image to enlarge. Climate change could, however, end up destroying forests — regardless of whether anybody wants to pave over them. The combined effects of falling moisture levels and rising heat, both expected from climate change, threaten to burn lush montane forests of the American Southwest almost into oblivion, research has shown. Forests elsewhere may face similar risks. In some areas, that could see longstanding forests replaced with grasslands and shrublands. These changes will be more profound if the rise of greenhouse gas pollution concentrations is not abruptly slowed. It’s not always going to be enough to manage the fire hazards of today. Thought also may need to be given to the types of fire hazards that could sweep through a region in the future. Talk of planning for the fire regimes of future decades offers little relief now, however, to vulnerable residents staring down the barrel of a torturous fire season ahead — one that’s sure to severely test their resilience to the wildfires that will always plague them.